Protect Gotham with this Batman 7 1/2-Inch Bulb Botz Clock! This amazing clock features an easy to read LCD display with a yellow illuminating backlight, which is activated by pressing on the head. 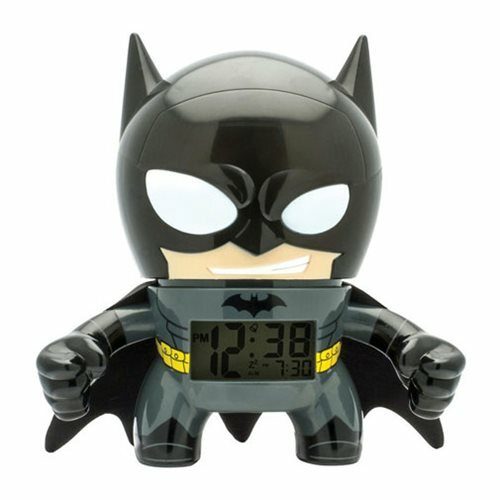 This Batman 7 1/2-Inch Bulb Botz Clock also features articulated arms and hands! Measures about 7 1/2-inches tall and comes packaged in a window box. Requires 2x "AAA" batteries (included). Ages 6 and up.